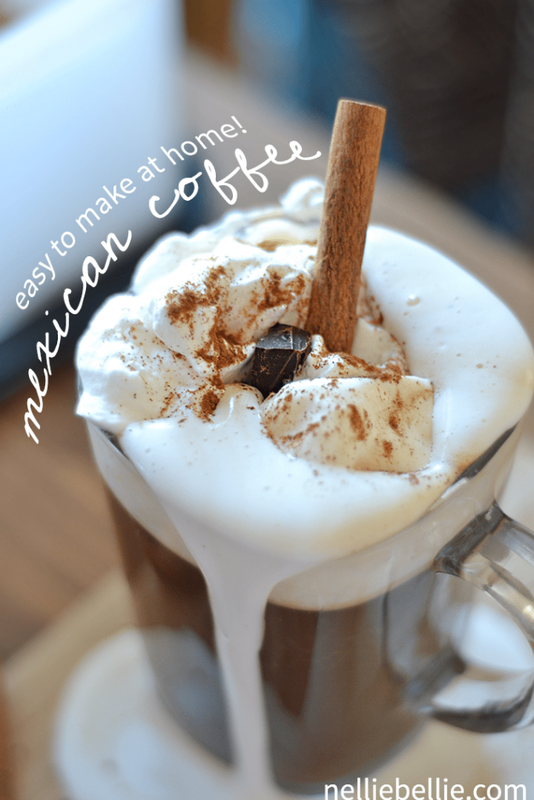 A delightful coffee that warms you from the inside with its shot of whiskey and delicious flavor! A favorite! Here in MN, it gets cold. Really cold! So I totally understand why the Irish have been adding whiskey to their coffee for generations. Not only is it downright tasty, it warms up your insides. 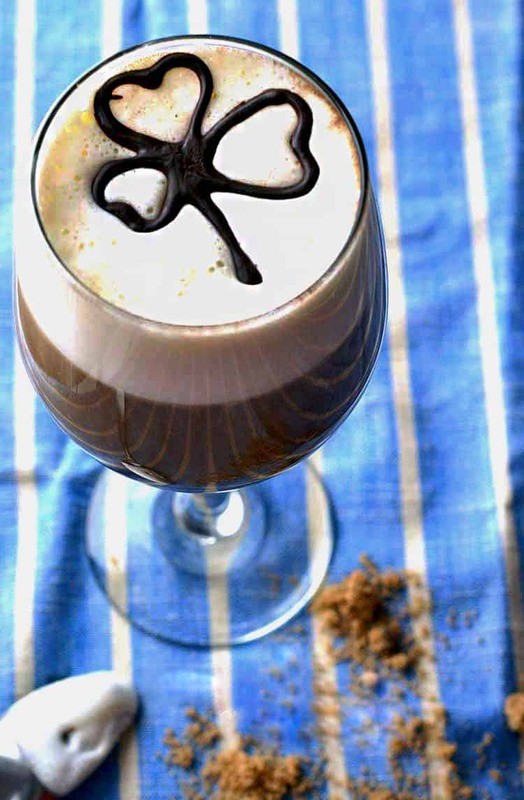 This easy Irish Coffee recipe is the perfect warming drink for winter. It’s technically a cocktail with coffee, which is perfect for winter when you need a pick me up. My family loves it at the holidays and I’m guessing yours would too! 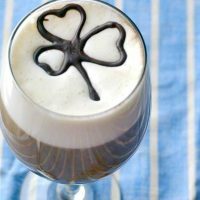 Is Irish Coffee really Irish? You bet! The traditional Irish Coffee was created at the Flying Boat Terminal in Ireland, as the rumor goes. It’s a fun story that you might want to check out. It’s as strong as you want it to be. If you make Irish Coffee at home, you get to decide how strong the alcohol flavor is. For this recipe, we made it a little lighter because we want the coffee flavor to come through more. If you want the alcohol flavor a bit stronger, add more whiskey! The glass matters. 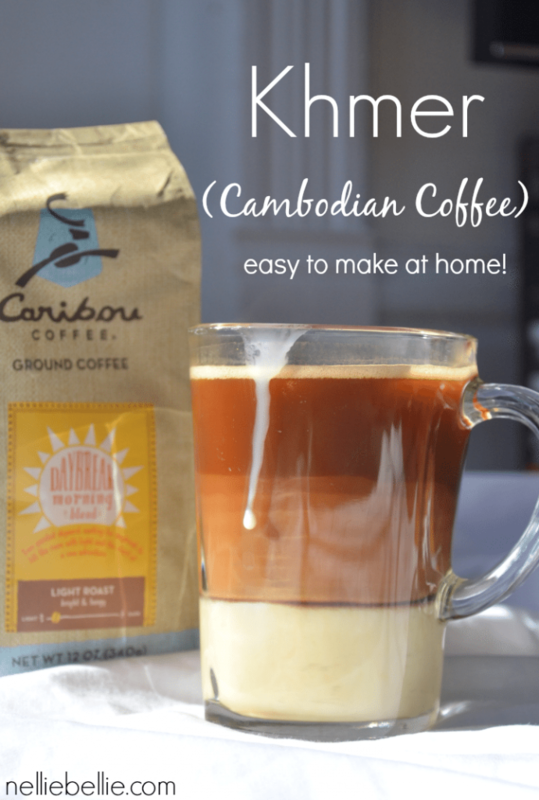 Yes, your coffee will cool more quickly in a glass than in a cozy mug. But Irish coffee is about the experience. You need to see those lovely layers and to feel fancy. And that glass needs to be warm before you add the coffee, just like the Irish did it. The lightly whipped cream, versus regular whipped cream, does make a difference. You will need to make it yourself because this whipped cream is only lightly whipped. Just enough to get light and fluffy. This type of cream makes the perfect barrier to drink the coffee through, as the coffee really isn’t very sweet. To be fair, while we believe that Irish coffee is about the experience and that it should be made a particular way, this is really your experience. If you’d prefer your drink to be in a cozy mug and you’d rather use whipped cream from a can because it’s easier, that’s okay! It might not be as authentic, but it will still be a delicious drink. This is all based on your preference. What whiskey should you use for Irish Coffee? When I was grabbing the whiskey to make this drink, I went to my local liquor store. I went to the counter and asked the owner for their most authentic Irish Whiskey. He started to show me where to head to when an older gentleman that was at the counter turned to me and said with a strong Irish accent (not joking! ), “Girly, you aren’t going to get the best whiskey here in the US but, when for a good coffee and whiskey, Jameson does the job”. So, on the advice of the elderly Irish gentleman in the liquor store…use Jameson. Black barrel, he suggested (which is a bit harder to find). Should you stir Irish Coffee? Not after you’ve stirred the coffee, whiskey, and sugar together. The coffee is meant to drink through the whipped cream for the yummiest taste! What is Bailey’s Irish Coffee? Instead of whiskey, Bailey’s Irish Coffee uses…Bailey’s. Does that make it Irish Coffee anymore? Hmmm. We’re not sure. But it does make it tasty! Mix together coffee, whiskey, and brown sugar in your glass. Slowly add your slightly whipped cream by pouring it over the back of your spoon. To make slightly whipped cream, whip heavy cream until it just begins to firm up. Add a bit of sugar and beat just until mixed. If you don't want to take the time to make this, store bought whipped cream will work as well. It will just taste slightly different. 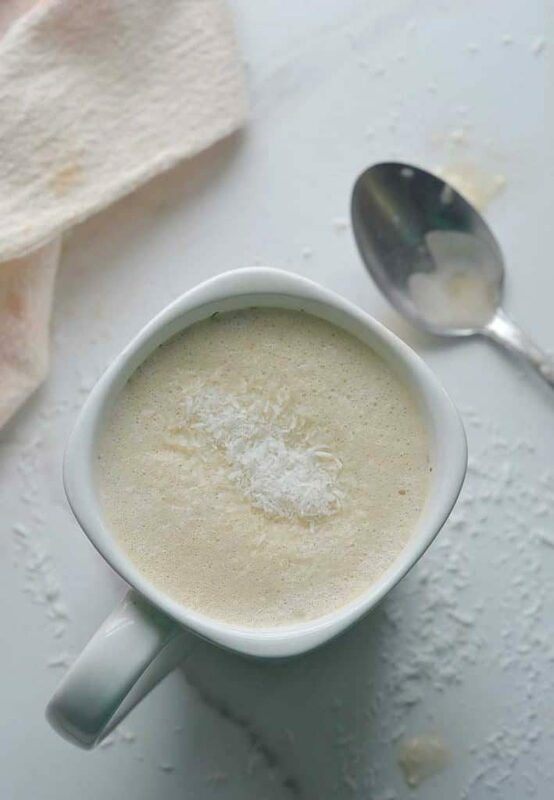 I know that knowing this recipe won’t replace the need to head to your coffee shop often. Let’s face it, coffee shops do something for busy women similar to what a beer does for many men. It’s just our thing. 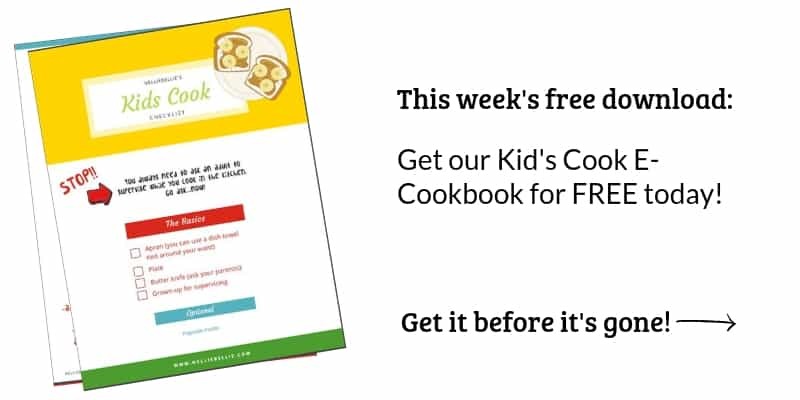 However, if you are trying to cut back and save a little money OR next time you have a girl’s night…try this recipe. The combo of alcohol and coffee just can’t be beat. I KNOW…right!?! Best of all, those donuts are FAST. 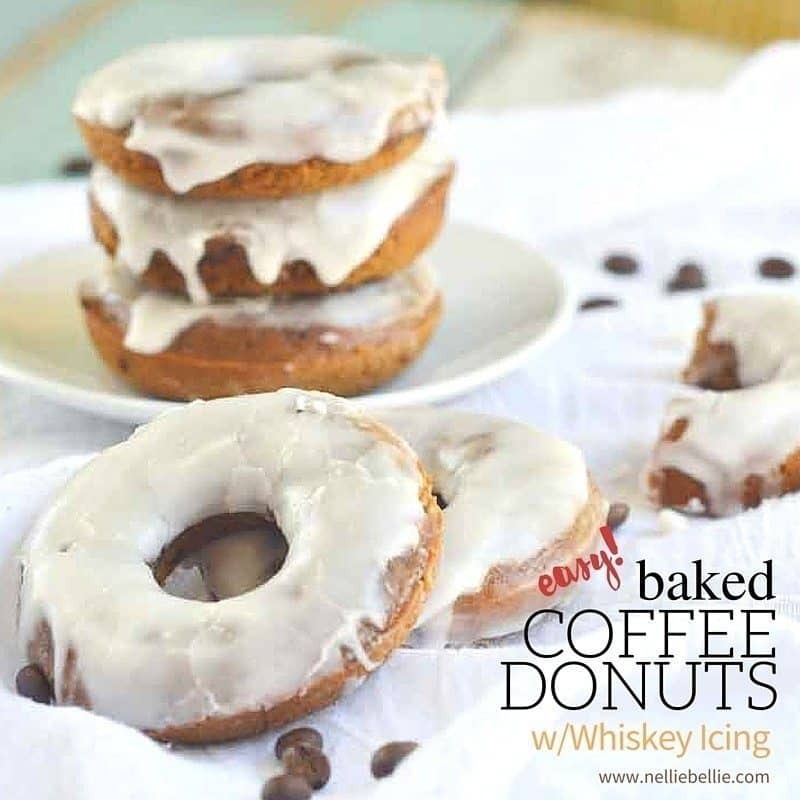 So you can whip up a batch of donuts to have with your coffee next Saturday morning. You’ll have the BEST day, ever :))! !